I never had any experience cooking this dish. For starters, squid is kinda expensive even for a coastal city. I can’t even remember my mom cooking this at home while I was growing up. 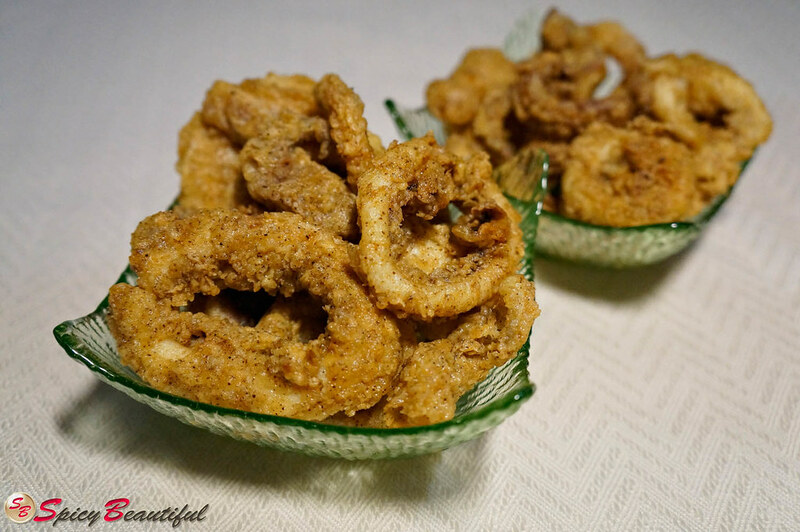 Feeding 5 children with calamari is one sure way to get out of budget! But the most important cause of not ever having cooked calamari is that my favourite squid dish is the adobong pusit. It is squid cooked in vinegar and soy sauce with the surprisingly-tasty squid ink mixed in. Now that’s one savoury dish! YUM! Now, I’ve gotten off topic. LoL! Okay going back to calamari. So without any know-how and no guidance from my mom, I just had to wing it. I remembered the flour mixture from my pork strips in sweet-sour sauce and thought that that could serve as the coating. Well, judging from the outcome, I wasn’t wrong. One kitchen disappointment averted. Whew! I decided to add a dash of chili pepper to the flour mix to confuse the taste buds a bit. I like to experiment a lot — more so when it comes to spice — and most of the time it works. Don’t worry the failed attempts aren’t going to have a spot in this blog. :) Also, I dipped the squid in a lightly beaten egg first to make sure the flour mixture sticks. I don’t know if that was the right way to go but it turned out pretty good. In fact, it was better that I expected. The calamari was spicy — but not the over-the-top-scorching-your-tongue sort — and the outer layer was perfectly crispy without having the squid on the inside overcooked. All in all, it’s one great dish that I’ve just added to my slowly expanding recipe arsenal. And one that I’ll be making again when NBA season starts and we’ll be hosting basketball viewings with some friends on the weekends! 1. Place the squid rings in a bowl with the crushed garlic and calamansi juice. Season with salt, ground black pepper and cayenne pepper according to taste. Mix carefully then cover and let sit for 15 minutes. 2. Prepare flour mixture by combining flour, salt, ground black pepper, cayenne pepper and chili pepper. Mix thoroughly. 3. Pour enough oil for deep-frying in a medium saucepan (about 1/3 of the way up the side of the pan). Heat the oil over medium-high heat or until the oil sort of starts to “bubble” from the bottom of the pan. 4. Dip each squid ring in the lightly beaten egg then coat evenly with the flour mixture. Carefully add the coated squid rings to the oil and deep fry for 1 minute on each side or until it is a pale golden brown. 5. 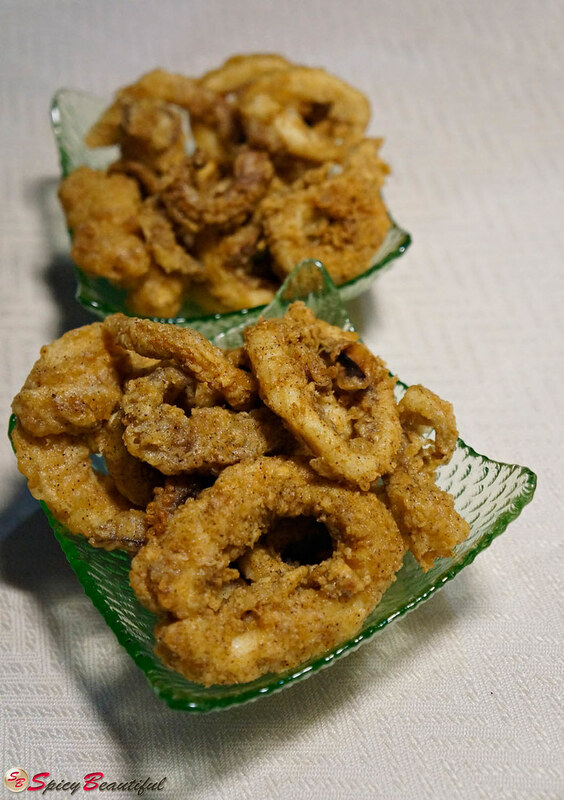 Place newly-fried calamari in a paper-towel lined plate to absorb excess oil. 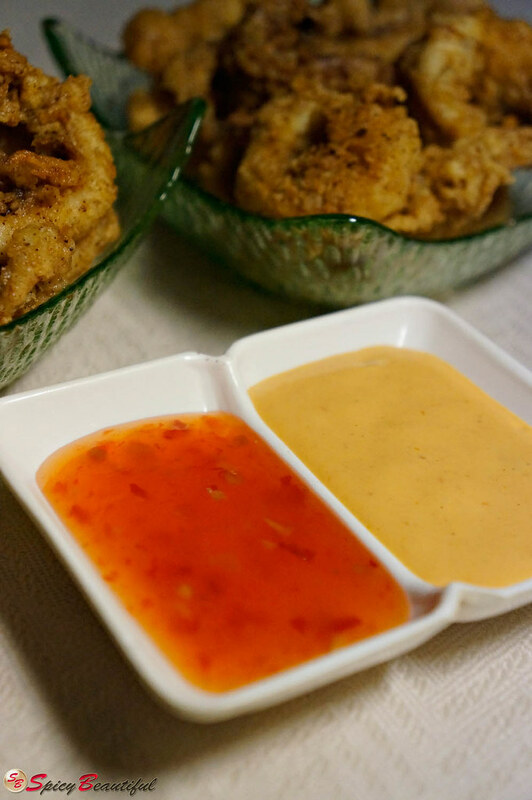 Transfer to a serving plate and serve with a side dip of sweet chili sauce or thousand islands dressing. Dig in! the Mac C range has actually more Yellow undertones as compared to the NC shades. NC35 and NC40 is a little too light on me but NC42 is too orange and too dark on me. C40 was the closest shade for my skin tone. They also have C4 which is one or two shades lighter than C40. My husband hates seafood (weird but I still make him eat it) but randomly likes calamari. Great dish and they do look perfectly fried!